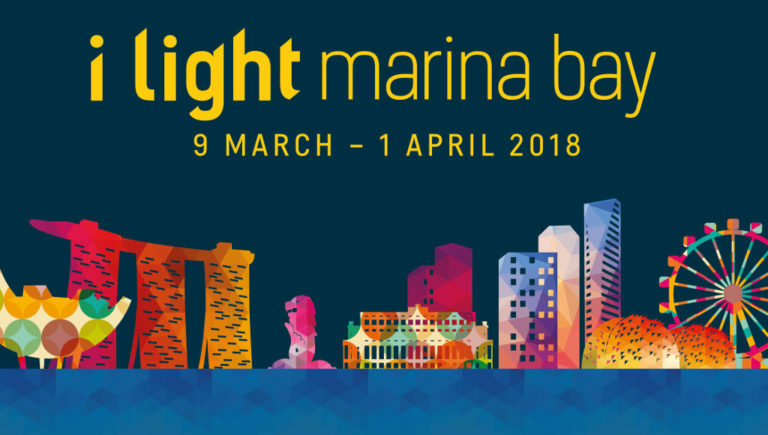 As you probably know by now, i Light Marina Bay 2018 is getting ready to illuminate our iconic downtown precinct starting from 7.30pm tomorrow evening. 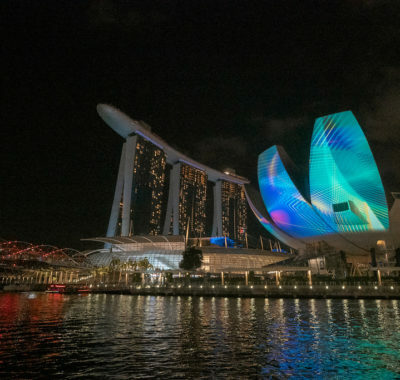 To bring you this update, we previewed the light art installations that have sprouted up around the Marina Bay Waterfront. Our verdict? 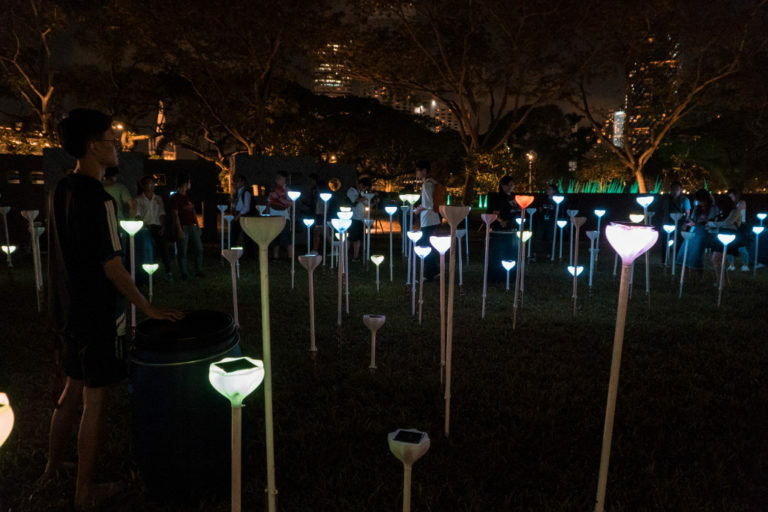 The sixth edition of Asia’s leading sustainable light art festival looks set to be bigger and flashier than ever before. Do you and your family love making music and grooving to the beat? Perhaps learning about science and environmental sustainability gets you all excited and fired up. Or you simply enjoy spending quality time being enchanted by glowing lights together. 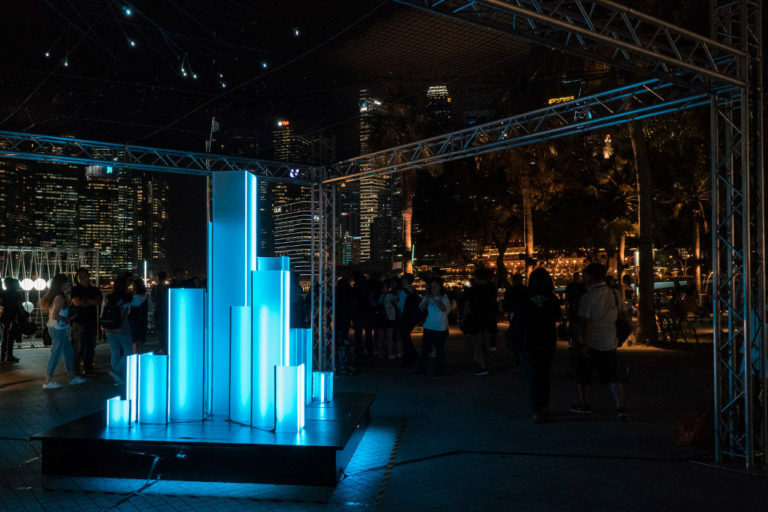 Whatever the reason, don’t miss these especially kid-friendly light art installations at i Light Marina Bay 2018. This is definitely one of our favourites. Imagine a steampunked giant octopus featuring eight tentacle drums. Little aspiring drummers can become part of this animated tentacle percussion ensemble by beating on them. Watch Octopoda’s musical mind come to life with fascinating displays of colours and lights. 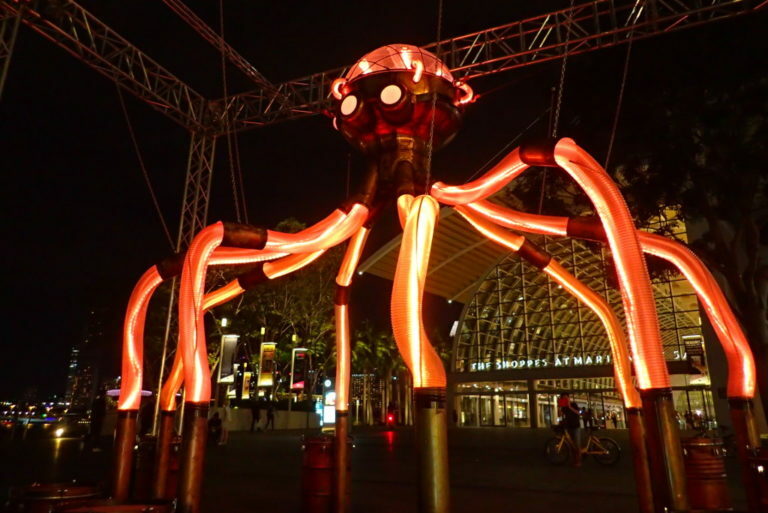 Get all eight drums playing together, and Octopoda will dazzle audiences with his mechanical moves and rhythmic light display! Shine the light from your mobile phones at this series of light tubes and watch as patterns change. At the same time, they emit relaxing musical notes like those made by traditional Chinese wind instruments. 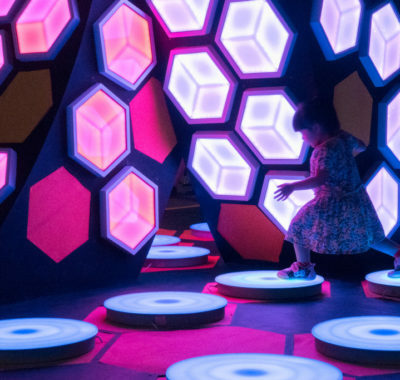 The kids moving around the Light Play installation can do exactly that – play with light! In fact, Light Play is a simple reminder for even adults to loosen up and get in touch with the child in them. 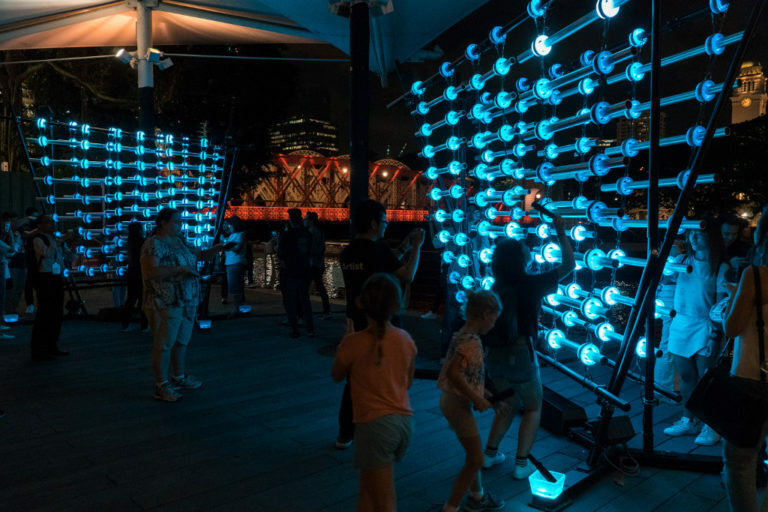 Standing at over 3.5 metres tall, the illumaphonium is a multiplayer musical instrument that invites you and your little ones to have some fun. 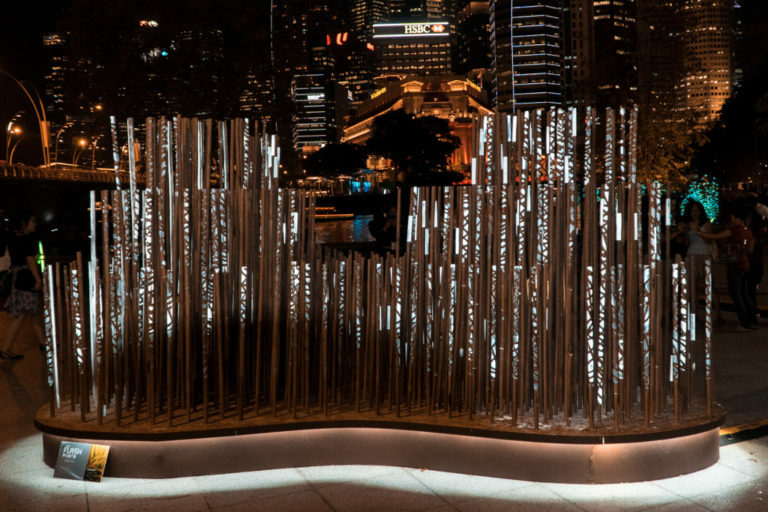 Made up of over a hundred illuminated chime bars, each responds to touch for a spontaneous music-making experience. You and every musician playing at that moment will be immersed in hypnotic patterns of sound, rhythm, light and colour. Only by working together can mankind help protect the environment, but it all begins with individual effort. Work with your children by beating the drums to activate the lights in the field. Then watch in wonder as The Butterfly Effect creates ripples across the field of lights. The lesson to take away is that individual actions can indeed lead to much bigger changes. For a highly Instagrammable photo op, walk amid the graceful, undulating bamboo rods in Urban Rice Fields. 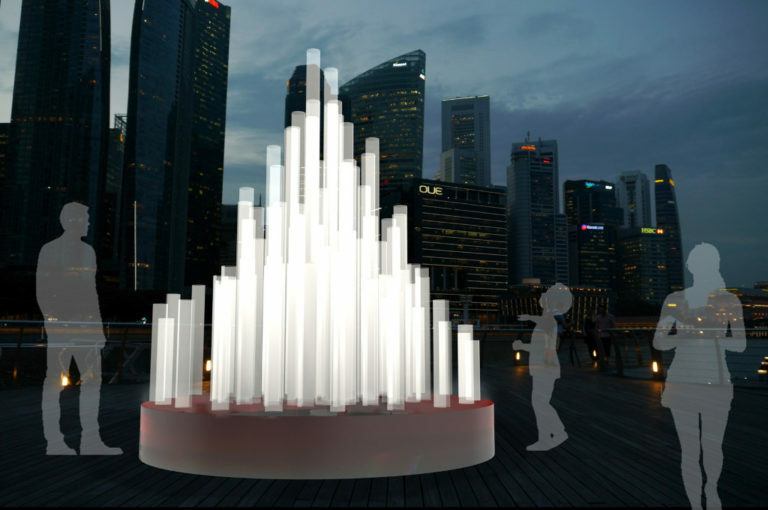 The interactive lighting installation is inspired by Singapore’s development of an urban habitat that embraces the natural environment. Most kids in Singapore never have the chance to see real rice paddies, so visit Urban Rice Fields instead! Ever wondered how much plastic waste we create every day? Step inside Transistable Plastic and find out how it feels to be submerged in it. Transistable Plastic is made using plastic vacuum bags filled with all kinds of coloured plastic containers and LED lights. Once all the air is sucked out, the panels are attached together. 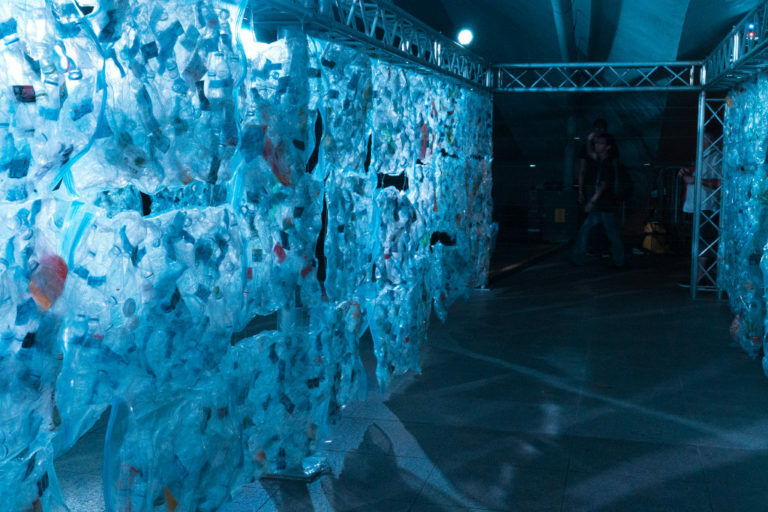 You’ll have to rotate the panels to find your way out of this maze of plastic waste. Let the kids get the spheres swinging and watch what happens. 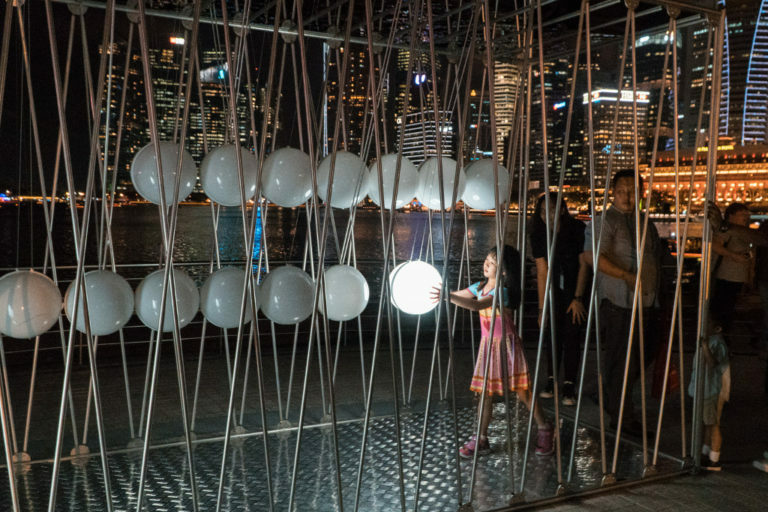 A kinetic-light installation that blurs the boundary between science and art, Cradle2Cradle is inspired by Newton’s Cradle. Illuminating upon impact as energy is transferred from sphere to sphere, the interaction results in a mesmerising display of light and logic. Through this, the little ones learn about momentum and energy conservation too. During the day, the pigments in this leafy installation absorb UV energy from the sun. As night falls, the magic happens as they give off a bright green glow. It’s great for primary school kids who are learning about photosynthesis to witness this visual interpretation of the phenomenon. 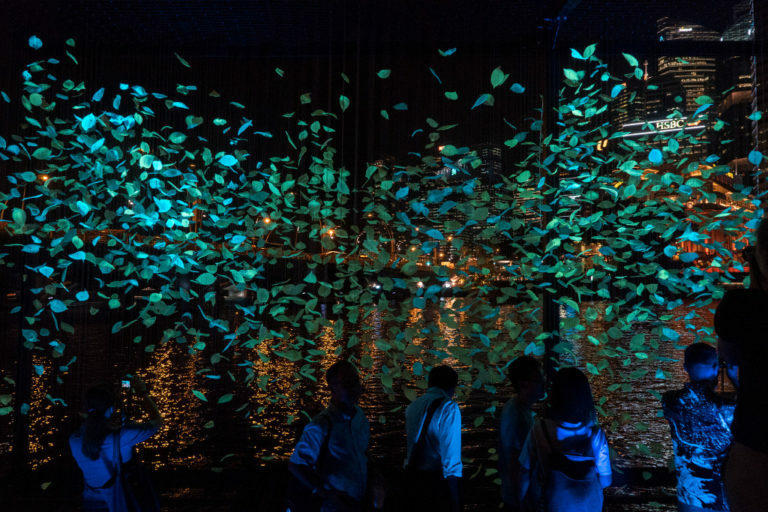 Self-sufficient and self-illuminated, Flawless uses photoluminescence, the movement of shedding leaves and its reflection to demonstrate how our natural environment works. Allow kids’ imaginations to run wild in this larger-than-life grass field. They can touch, feel and even hug the giant blades of ‘grass’! 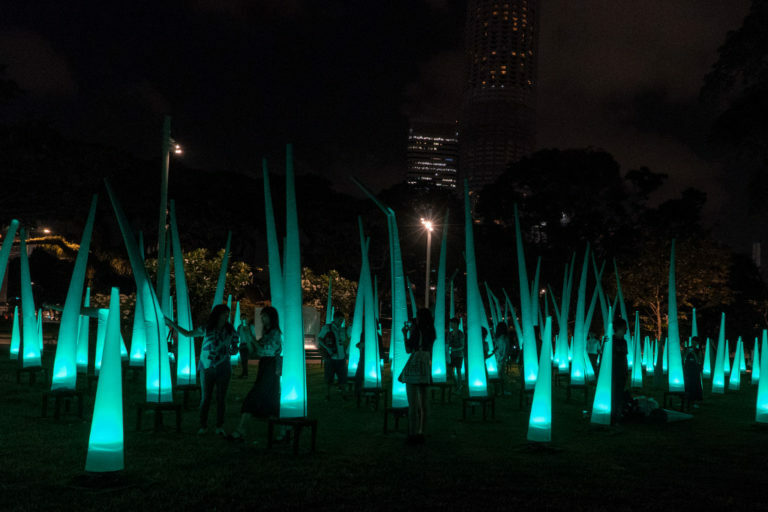 Reflecting the diversity of Singapore’s population living in harmony, Dancing Grass is made up of 180 blades in differing heights. Some stand up straight, others wobble in the wind, yet others create fun teetering effects when pushed. Be part of this glowing dancing green! 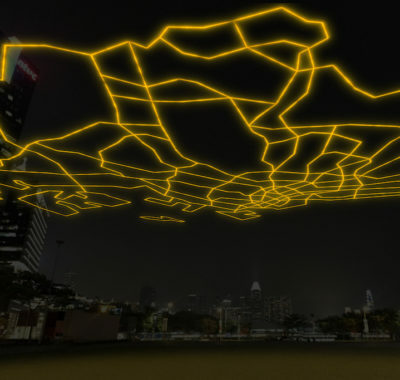 Singapore is arguably the most light-polluted country in the world, and we seldom get to see stars in the sky. The constant exposure to artificial light at night also seems to rob us of healthy sleep in true privacy. Starlight brings the light back from the stars, right in the heart of our well-lit city. Get closer to it and see if you can create a brighter constellation of stars! As we travel through life, rushing from place to place, we transition through both time and space. 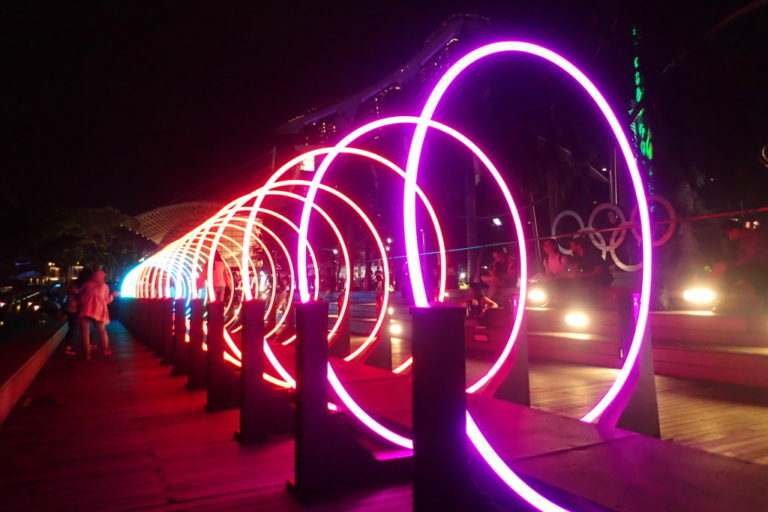 As you walk − or run, jump, skip or dance − through Passage, the lights and sounds in the tunnel react and strobe along with you. Different configurations create different atmospheres, each evoking different emotions. Passage also references the portal between life and death in a personal, sensorial, yet playful manner. So much of the workforce that contribute to Singapore’s success use coffee as a boost throughout the work day. 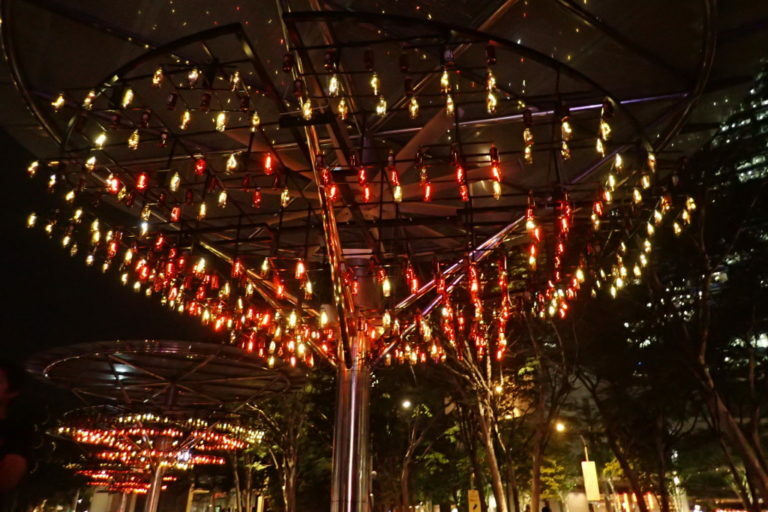 Aptly made up of donated used cold brew coffee bottles filled with lights, Chandelier of Spirits lights up the city after sundown, just as coffee ignites our energy reserves in the daytime. Psst…it’s activated by overhead sensors. So gather around it, because the larger the crowd, the brighter it shines and the faster it flashes. It might even sing! 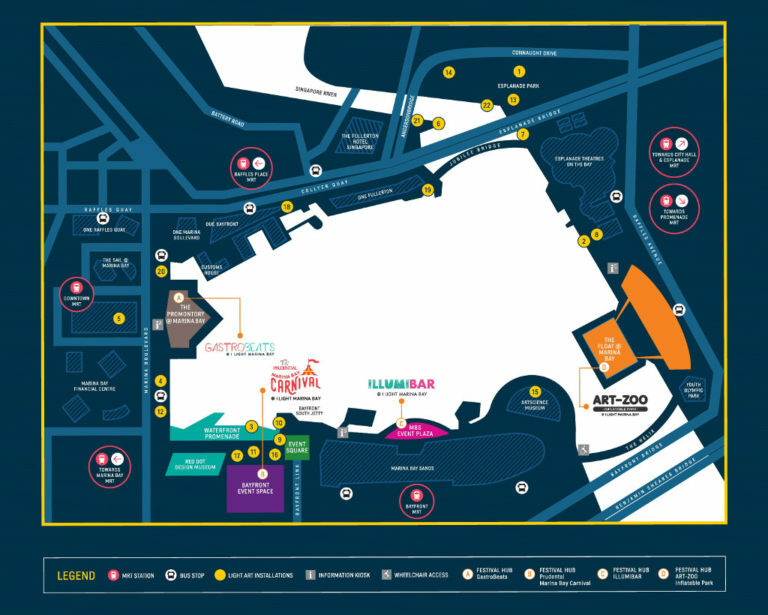 Art-Zoo Inflatable Park @ i Light Marina Bay 2018: 19m Tall Unicorn Slide, Six-Storey Tall Gorilla, and More! 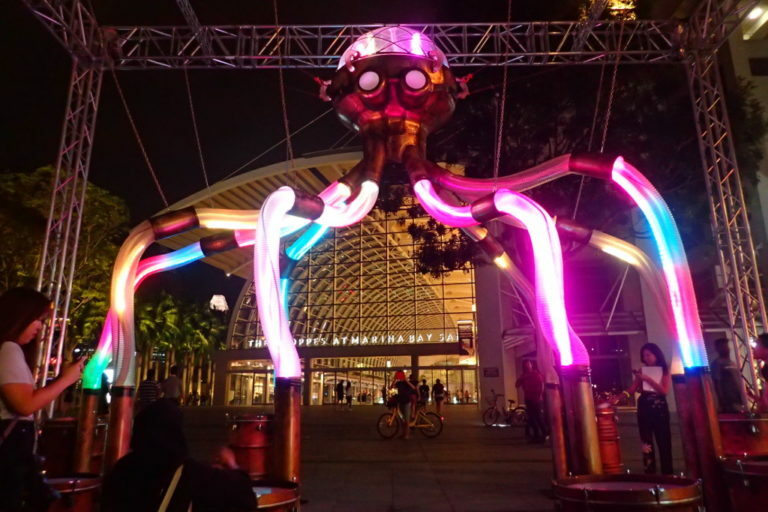 i Light Singapore 2019 is Bigger and Bolder!